Lara Copper handmade copper cookware, lanterns and retinning services. We cater for all your copper cookware needs. 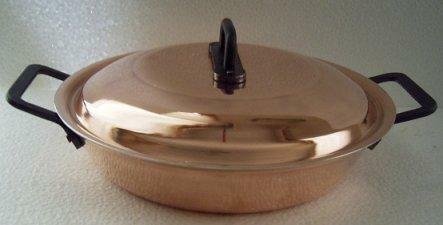 Copper Cookware for the serious cook and retinning services for all of your copper pots and pans. Buy Direct from the craftsman. 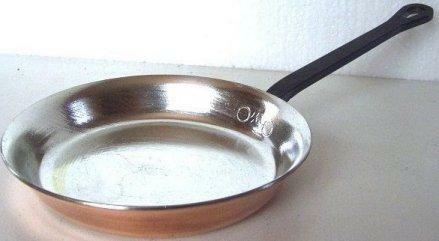 Fry, Saute, Crepe Pan 2.0mm copper with a heavy tin lining. 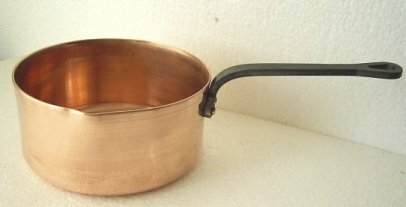 Saucepan and Casserole 1.6mm copper with a heavy tin lining. Modern cooking appliances provide a very even and consistent heat. 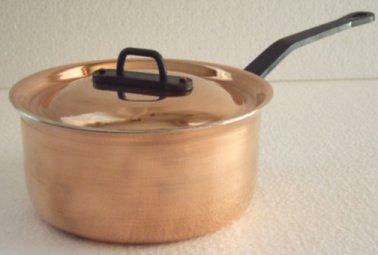 The thickness of our copper cookware allows for a very fast, even and efficient heat distribution. The spinning process creates a very hard and durable product. All pots and pans have a drip free edge. 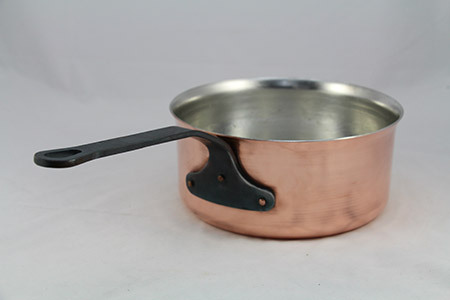 The tin lining is the most vulnerable part of the copper cookware as the lining will wear over time. It is reasonable to assume, that the thicker the lining the longer it will last. We therefore apply a very heavy tin lining, especially on the saucepans, by hand in the traditional way. The lining enhances heat conductivity and is non-reactive to food. 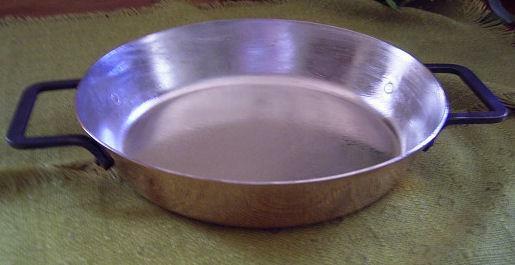 The characteristic unevenness, wipe marks and shrink marks do not effect the workings of the pan. Hand forged wrought iron handles are attached to the copper pan with 3mm counter sunk copper rivets which are flush with the interior surface. 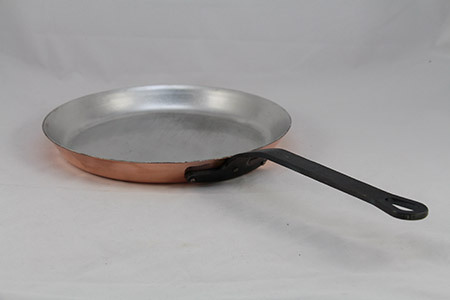 As our copper cookware is handcrafted size and volume will vary slightly.